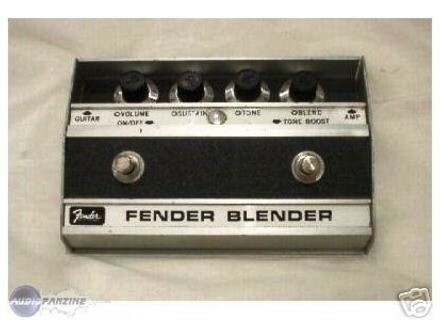 Blender (Original), Fuzz pedal from Fender. well this cost me pretty much two kidneys and a liver... the pedal has been discontinued so you have to buy second hand, i got mine on ebay for £170 including postage which was pretty good, but then customs charged me an extra £30 on a whim - how i hate customs. i often dreamed of a pedal that when i pressed down the button people's ears would explode... it does that. basically it's a fuzz pedal with a slight octave. but the fuzz is the most over the top consuming fuzz i have ever heard, if you have it on full its pretty much impossible to play chords and hear a note - it's just very noisy. there's a tone boost too, which just makes it louder and slightly alters the octave... which if you hold a note rings on and gradually gains so that it's louder than the original note. the best thing about this pedal is for lead or all out wierd noise, in relation to lead it gives you a fantastic sound and a real snarling feedback inbetween playing notes - fantastic for pick sliding. it's a simple unit with four knobs and two buttons, but for some reason it can take a while to control. when i first got it i'd wanted this pedal for about 3 years, and was heavily disappointed. the sound seemed to be unusable and didnt hit the amount of distortion i'd been lead to believe it would. however, after a fair while of tinkering and rearranging the order of my other pedals i found a way of encorporating the blender and it works amazingly. 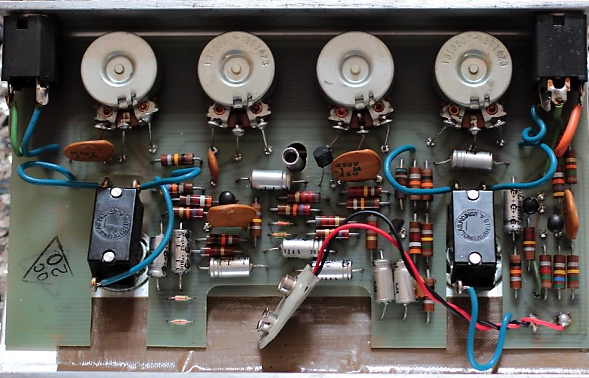 another problem i encountered was that if i had the volume on full with the pedal it interferred with my boss M3-30, which it shouldnt have done since it has a reported true bypass, plus it only seemed to do it with the boss pedal and none of the others. again more tinkering but i found by lowering the volume i didnt get the shadow fuzz but still could use the blender. basically dont give up on it, play around and it might take some time but eventually the pedal will live up to all expectations. it's made of rock, sterdy as anything and the unit i have was made in the 60s, has been gigged and has only a few scratches. i have no fear. it's a weird pedal, if you're unhappy with your lead and want something more defining and alternative then this is a perfect pedal. they are hard to come by though and can be expense, just spend a while searching. 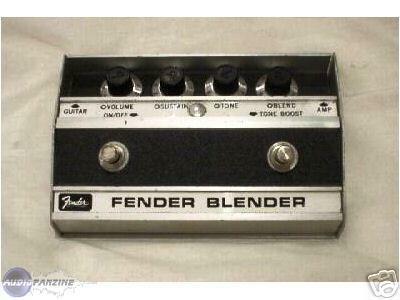 The Fender Blender is a fuzz and octave pedal that was originally made in the 1970's but is now available as a reissue. I've only used the reissue and not the original, so unfortunately I won't be able to compare the two throughout this review. 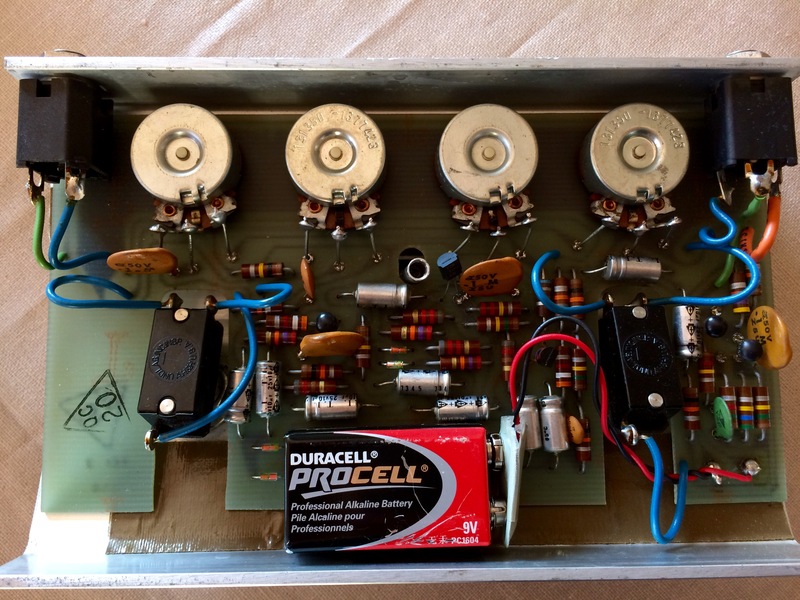 The pedal has pretty simple characteristics, with 1/4" connections for input and output. It can be powered by either a 9 volt power supply or battery, as it has a compartment for a battery. It isn't rack mountable in any way as it's a pedal. 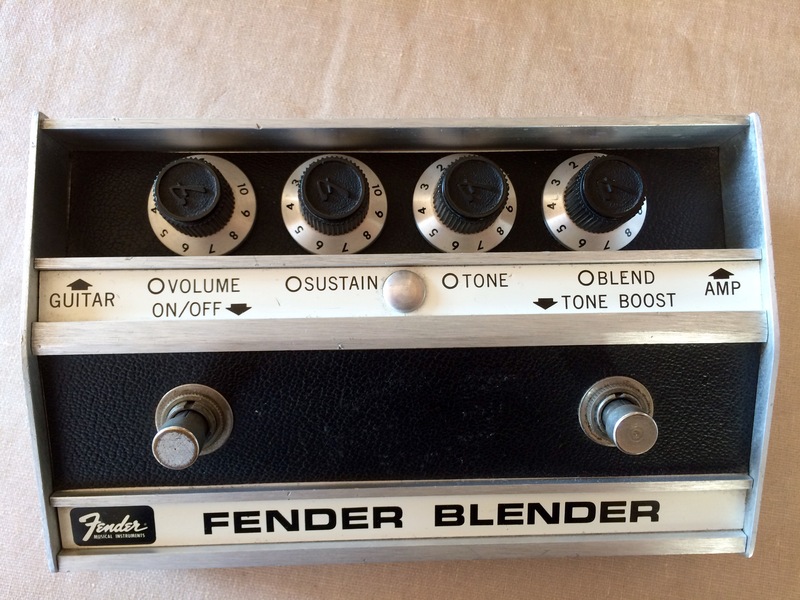 The make up of the Fender Blender is generally pretty simple to follow. The pedal has two switches - one to engage the effect/bypass, and one for tone boost. It's also got parameters for volume, sustain, tone, and blend. 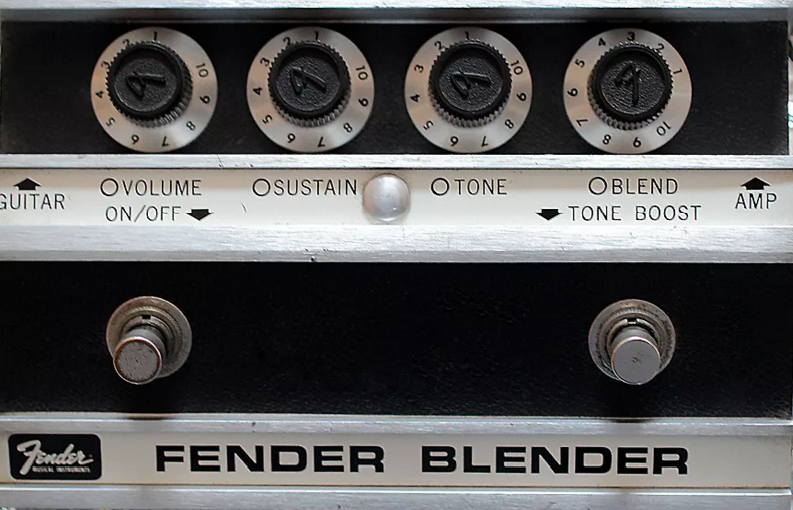 Those are all the parameters available on the Fender Blender, which is really more than enough to get a wide array of tones here. A manual isn't necessary in my opinion, but I haven't seen it so I can't speak to it's make up. The sounds that are possible with the Fender Blender are pretty awesome, as it's a great mixture of fuzz and octave sounds, which really go hand and hand here in this setting. It's also got a tone boost which makes the pedal all that much more versatile. The fuzz is really thick sounding, and I actually like it best for lead sounds as you can get a ton of sustain with it. I've used the pedal with other Fender products, a '76 Fender Twin Reverb and a Fender Jazzmaster. It's simple, it is a distortion with an octave. Very easy to edit, the sounds are very typical, it sounds psyche rock 60's / 70's. Very big sound, ideal for frenzied solos or rhythmic single note. If you call killer riff, play it on this pedal, you will not be disappointed. Very good indeed, easy to edit. But very typical, so do not place everywhere. It corresponds to a certain style "vintage", not modern (even if it is possible to draw (very) large distos). I sold mine because it did not fit my style of music (brit pop rock). But every time I snapping it was something that no other pedal does. In short, a big sound for a large effect.